Here’s a real treat, provided by Joe Sapienza II. 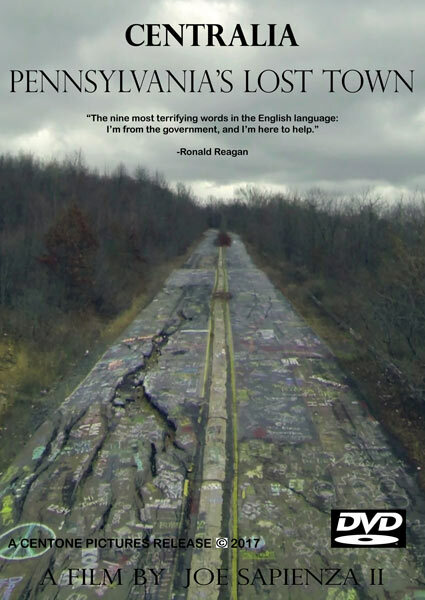 It’s a 7 minute video documenting the effort to cleanup Centralia Pennsylvania on October 25, 2014. 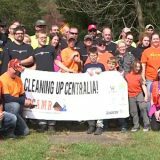 The video begins with a recap of why Centralia PA is important, and shows different scenes from the cleanup day. Candidate for US Congress, Andy Ostrowski, provides an excellent interview describing what the cleanup day is about. 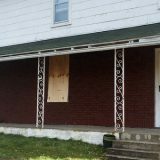 Previously, Ostrowski represented some of the remaining residents in Centralia, as they fought to stay in the borough and continue living in their homes. Another clip includes an interview with Tom Hynoski as he works to pick up trash. Hynoski is the fire chief for the borough and is also one of the last remaining residents in the town. John Comarnisky provides his perspective on the day as well. Comarnisky is a former resident of Centralia PA. 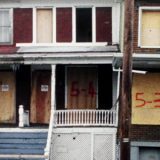 He lived there until 2009, when the Commonwealth of Pennsylvania evicted him from his home. The video goes on to show great footage of volunteers working around the town to cleanup trash and other garbage. It is actually quite amazing and sad to see how much has been dumped in the borough without regard for the environment and the people still living there. Tires, couches, litter, and other refuse is all shown being loaded into dumpsters. Robert (Bobby) Hughes is then interviewed. As director of the Eastern Pennsylvania Coalition for Abandoned Mine Reclamation (EPCAMR), he describes the cleanup effort and provides his perspective. The volunteers who came out to help are also seen in the video. These include students from Wilkes University. The video ends with some before and after shots of the areas that were cleaned up. 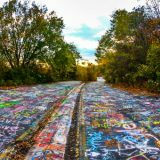 Given the size of Centralia Pennsylvania, the cleanup crews hope to return in the spring to finish the job they started in the fall. Do you think you could e-mail me next time you have a clean up day. I live in around Philadelphia and I go camping up in that area all the time. I think it would be great to come out there next time you get this together. I remember going thru Centralia on the way to out hunting cabin in Forksville Then the town was putting of steam and smoke but the streets were good yet and I loved going thru the town — reminded me of good times and a nice down to Earth place to live. 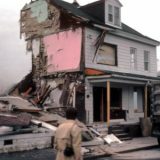 I don’t blame the people for trying to hang on to their homes / it was probably a decent town with decent people ! Lord — If you aren’t way out there somewhere / you can,t find a safe place to live anymore ; my husband I I loved the Country ! God I miss the old times !